Twitter was abuzz with banter yesterday concerning Time magazine’s re-post of a Princeton Tory diatribe by student Tal Fortgang, entitled Why I’ll Never Apologize For My White Male Privilege. Yup. That’s what he said. I know many probably think that Tal’s seeming failure to understand the obvious distortion of the dynamics of privilege he committed here should be chalked up to the fact that he’s just twenty. However, The Princeton Tory is a paper that means to cultivate right wing voices in political media, and this isn’t Tal’s first time at bat for them. The guy has an agenda. So, I’m going there. Here’s where you failed, Tal. I get that your grandparents made great sacrifices in their lives. Mine did, too. I won’t get into the details, but they suffered and sacrificed, believe me. My grandmother immigrated under difficult circumstances only to find that she would spend most of her adult life working under a man carrying a whip. And that’s just when she was in the fields cutting cane. She also had seven children who needed to be clothed and fed, and a husband who expected dinner on the table on time, no excuses (which, by the way, she might tell you was a powerful, life-defining exercise of male privilege on the part of someone who spent his entire adult life in a labor camp). But our families made those sacrifices to provide opportunity for us. Those opportunities were privileges they passed on to us that not everyone else has (if you check out the dictionary, you will find that the fact that some are excluded is part of what makes them privileges), and for reasons your story tries to obscure, I believe, intentionally. The fact that many struggled to win the privileges we enjoy doesn’t make those privileges just and right. Privileges never are just and right in a truly democratic society. Unfortunately, that’s not what we’ve got on our hands, now, is it? Others struggled as well, and against great odds, including the Middle Passage, peonage, slavery, a plague of lynching, Jim Crow, a horror of medical experimentation, and ordinary racism and discrimination, without yielding so much of a scant chance for their children. The difference in the yield on our grandparents’ investment in America that we’ve benefited by, compared with the benefit to African Americans of their grandparents’ labors three generations after slavery (which, by the way, went on for more than three generations) is like the difference between immigration and abduction, and let’s not forget that slaves and contract laborers like my grandmother worked land that was taken from others through genocidal conquest. Our grandparents labored, but under a different set of circumstances and a different code of law than those of African Americans. But then, you know that. 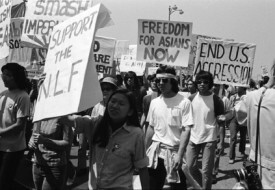 You also know that the worst experiences of mass persecution Jews and East Asians faced in the last century started to dissipate in the U.S. right about the time your grandparents immigrated here, and in no small part as a result of the war against fascism in Europe that ended the holocaust your grandparents survived. That’s not to suggest that anti-Asian racism and antisemitism aren’t a continuing part of our contemporary reality, but we’re not being targeted for state sanctioned persecution in the U.S. today. Check out some history classes at Princeton when you get a chance, Tal. You might learn something. 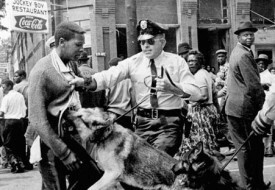 But state imposed persecution and discrimination persisted for African Americans via Jim Crow and continues under an unjust tough on crime regime and myriad other federal and state policies. And for Native Americans, whose posterity, for many, is dependent on the chances they can create on what started out as concentration camps, mass persecution is also a continuing reality. But you’re hoping the story of your grandparents’ noble sacrifice will obscure all of that. I’ve worked very hard to create the opportunities I’ve had. Along the way, I had to sacrifice a lot – living in warehouse squats, skipping meals, forgoing dental care for almost 20 years, and winging it without medical insurance or the benefit of being able to see a doctor when I was sick for about ten – but the benefit associated with every sacrifice I’ve made was amplified by the privileges my elders won for me. That’s why I acknowledge those privileges. My family struggled on my behalf. They didn’t come cheap. Given all that your family went through, I’d think you would want to do that, too. But what you’ve done here does nothing to honor the price our immigrant grandparents paid. In fact, it belittles it by turning it into a political weapon. Nice try, but we aren’t buying it. Good luck with your future in political punditry. OMG OMG OMG! And I haven’t read the entire article yet; literally waiting for the wave of nausea that hit me when I read “came to America” to ease up a bit first; for, that split second “how it must feel to have ones family/ancestors suffer such gross atrocities, inhumane treatment at the hands of another only to be told by some arrogant, ignorant, spoilt, privileged kid that ‘you’ got the better part of the deal”; but that was a split second before reality hit home… That kid is white. I am white. That nausea, that nausea is disgust. Sick to the stomach, ashamed, disgusted… White people… We are never going to learn. All that ‘back breaking hard labour’ endured by your grandfather did his family and you little good. Never been taught to or had to take responsibility for anything. Surprised you’re even able to walk upright, seeing as you lack any backbone. A perfect example of why reparations starting with “Land Reform” in SA, MUST be put in place. Either that or a program preventing stupidity from procreating. Nice try, Samantha. You are no better than the kid in this article if you are promoting the idea that white people are ignorant. The myth of white ignorance is a dangerous concept to victims of racism (non-white people). I think you already know that and you are being deliberately deceptive. I don’t believe you one bit. Your comment doesn’t even sound sincere. If anybody is hit with nausea it should be non-white people whenever someone suggests that white people are ignorant. You may be just as dangeerous as Tal. Rashnu, that’s over the line. The kid in the article is a committed conservative publishing through a right wing communications organ that means to cultivate right wing voices in media by mining the student body of Princeton. There’s a big difference between that and someone who is promoting reparations, including land reform. Anyway, while I appreciate your comments, we don’t like the comments queue used to make personal attacks. Not cool. I was not seeking your approval Rashnu and quite frankly, your opinion would have proven more effective were it minus the temper tantrum; brought on by, I believe, my “promoting white ignorance”? Are you suggesting that, that kid is anything but? That, that kid does not actually believe his ‘version of events’??? That he is fully aware of the nonsense he is spewing? I started taking a moment to think about the privilege I’ve been given when I was in high school…. even as an immigrant to this country myself (Canadian by birth) being white, male, and descending from a long line middle class families gave me… well, privilege. It’s definitely something to acknowledge, preferably every day. PS- I was just going back over my thoughts re the stop and check laws of immigrants in Arizona a few years back. Some people tried to convince me that it wasn’t aimed at any ethnic group in particular. At the time I was not American, and was fairly confident that I could (if I had wanted to) bluffed my way into the voting booth, let alone convince an officer that I was an American. I made the point, and we came to realize that the laws were NOT in fact “aimed” at any one group in particular, but at everyone besides white people. ON TIME MAG– this isn’t the only racially biased piece from them. Interesting. Very interesting…. This feels like another sensationalist piece. Almost all of this article is about his family background. Not to downplay the grave crimes against his family, but while his family may have gone through terrible times, it doesn’t mean Tal has personally experienced those types of events. The whole thing is overly-dramatized to gain sympathy (i.e. “all the hard work I have done in my life [due to] some invisible patron saint of white maleness”). It’s easy to say a comment like this. How would he know? Until he’s actually had real-life experiences of persecution as a minority, it’s hard to fathom him actually understanding the psychological severity of current day experiences as a minority. It’s hard to ask someone to apologize for their ignorance. Perhaps what we need here, and in America at large, is a little more education on cultural/ethnic studies. That’s the only way any of us can move past seeing beyond our limited ego-biased views of the world. “If Youblame Native American communities for their poverty, remember that the entire continent was stolen from them. If you blame Black American communities for their relative poverty, remember that Black Americans were stolen from a continent, trafficked, and enslaved for nearly 300 years. Tell me again about how your family ‘started from nothing’ when they immigrated. Didn’t they start from whiteness? Seems like a pretty good start.